Well, here we go again because Amazon is back with their Free App of the Day bundle and it’s not just one app instead 6 different paid apps are being given away for free. All these apps cost more than $27 combined but as usual Amazon is feeling generous enough to give these apps away for free. This offer is only available for a day, so grab it before it goes away. This special Bundle is curated especially for Travellers. 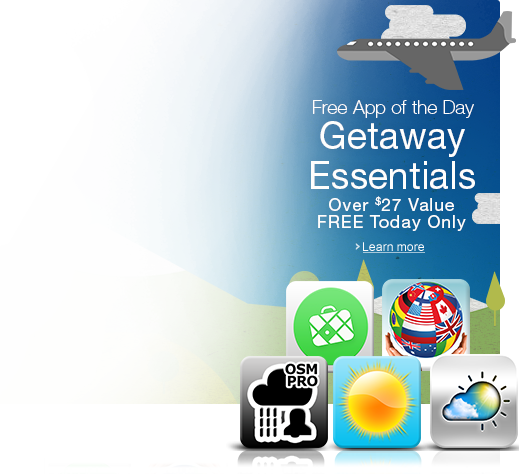 Get the free apps before time runs out on you. Below is the list of individual apps that are available for free in the Amazon bundle. Amazon Giving Out $18 Worth in Free Apps….Again!